Much has been written about Monti's La Casa Vieja, one of the oldest and most famous restaurants in all of Phoenix. 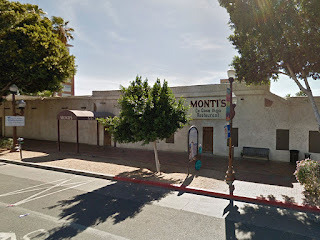 But much less attention has been given to the second Monti's location in North Phoenix - one that has nearly been forgotten to history. Today, I hope to tell that story. It was 1873 when Charles Trumbull Hayden, a businessman and one of the earliest settlers of Tempe, built an adobe hacienda for his family, located directly across the street from his flour mill. Other websites document the history of the building with much greater detail than I can, but over the years it underwent a number of expansions and served as a boarding house, private residence, and a restaurant. In 1924, the house was restored to its original appearance. In 1947, Leonard F. Monti, a World War II veteran, moved to Chandler and opened a restaurant called Monti's Grill. In 1954, he bought Hayden's adobe house and opened Monti's La Casa Vieja ("The Old House") in 1956. 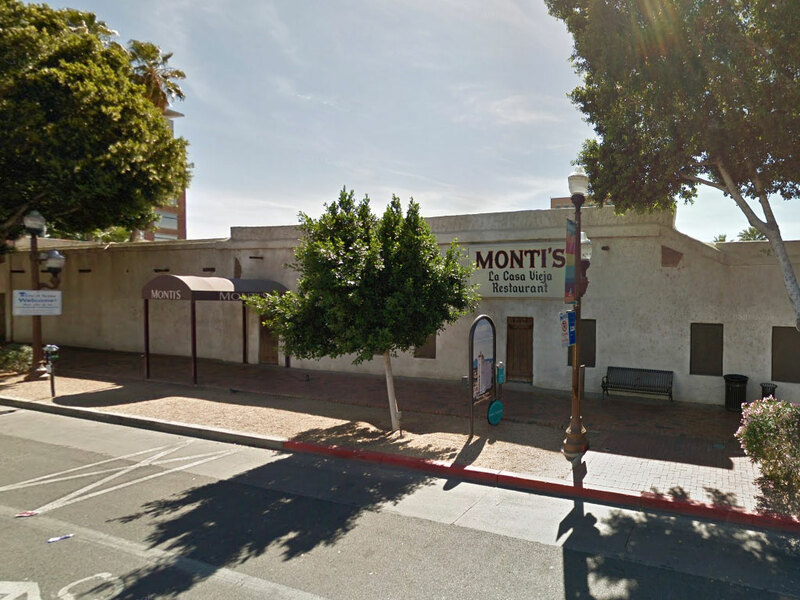 Monti's La Casa Vieja restaurant in Tempe operated for 58 years before closing in 2014. The restaurant was famous for its Western decor and art collection and was popular for many years - serving up steaks, prime rib, seafood, and other dishes. Later additions brought the property to 20,769 square feet, creating an unusual interior layout that was a labyrinth of more than a dozen connected rooms. Leonard Monti passed the family business down to his son Michael Monti in 1993, and sadly the founder "Lenny" as he was often called passed away in 1997 at 85 years old. The restaurant is recognized as one of the oldest structures in the Salt River Valley, and the oldest continuously occupied structure in Tempe. It was added to the National Register of Historic Places in 1984 and the Tempe Historic Property Register in 2000. After 58 years, Michael Monti announced in 2014 that the restaurant's rising costs of operation had forced him to sell the property. The famous Monti's La Casa Vieja closed in late 2014 after 58 years of service. The building and its 2.5 acres of land were sold to a Colorado based developer, Hensel Phelps, who planned to build a new mixed-use office/retail development called One Hundred Mill. The later additions to the Hayden House were demolished, but the original adobe structure was preserved and was intended for use as a restaurant. At the time of writing in late 2018, no construction has taken place and the developer had agreed to sell the building back to the City of Tempe as well as invest in renovations and improvements to the 145 year old structure, and reimburse the city for property tax breaks that were given as an incentive. 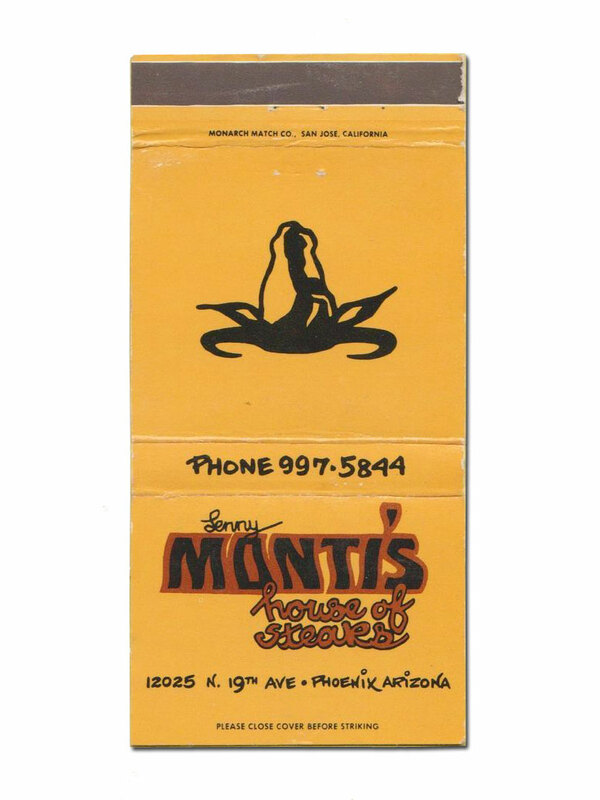 Not much is known about the history of Lenny Monti's second location in North Phoenix. 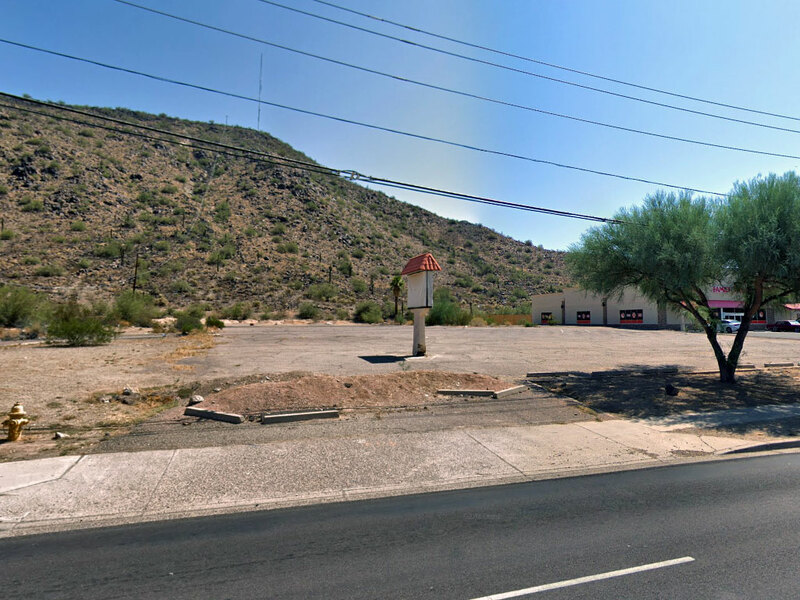 The restaurant was formerly located at 12025 N 19th Ave. (near 19th Ave. and Cactus Rd.) at the base of Shaw Butte mountain. Historical aerial imagery shows a building in that location in the Spring of 1976. Lenny & his family invite you to celebrate Thanksgiving Day. Complete turkey dinner $25 w/all the trimmings plus dessert. Children's portions only $3.00. We will be serving from our regular menu also. For Thanksgiving reservations call 997-5844. 12025 N 19th Ave Phoenix. 19th Ave and Cactus. LENNY MONTI'S RESTAURANT 12025 N. 19th Ave. - 997-5844 Upholding a nearly 50 year tradition isn't easy, but Leonard Monti, Jr., son Mario and daughter, Gina continue to serve Phoenix at 19th Avenue and Cactus with the same excellence in food and warm ambiance that his parents began back in 1947. Original artwork along with native American art and jewelry are showcased in an elegant western decor; a perfect compliment to Lenny Monti's famous steaks, prime rib and mouth watering seafood. An outdoor dining area surrounds a fountain in the courtyard. Enjoy your next lunch, dinner or banquet at Lenny Monti's 19th Avenue and Cactus location, and you'll see why the Monti family tradition of good food, generous portions and good prices are a legend in the valley! One of the long-time regulars put it: "Lenny Monti knows how to treat a steak and a customer". Lenny Monti's is open seven days a week Sunday thru Thursday 11AM to 10PM and Friday. Saturday 11AM to 11PM. Weekend reservations are suggested. Do you know more about the history of Monti's second location in North Phoenix? Please leave us a comment below, and thanks for reading! My mother worked there for about 35 years at Kenny montis house of steaks. It was not the 2nd location of the Tempe restaurant. Leonard Monti senior and Leonard Monti junior had a disagreement and junior opened his own place on 19th ave and cactus. It was a family feud! I worked there during highschool back in the 90's and there absolutely was a HUGE family feud! I loved all of the people I worked with and the food was amazing. I was so sad when I found out it was gone. I recall one year when some kids had set Shawbutte mountain on fire and it came pretty close to the restaurant but it survived only to be torn down.... Such a shame!